As with all Mactronix wafer transfer systems, the Eureka Series may be configured to accommodate a wide range of Plastic, Teflon®, Metal, Quartz, Silicon Carbide, and Polysilicon carriers. 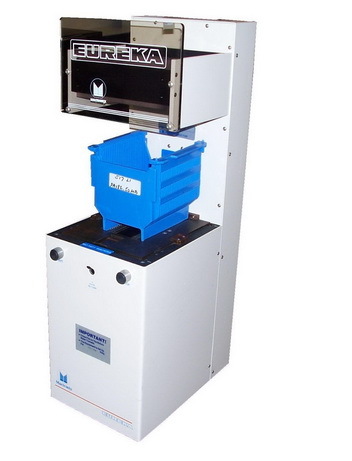 The Eureka Series wafer transfer machines have a proven track record and are completely air operated, therefore cost effective. Its simple design eliminates extensive R&M training. Retainers default to closed position to prevent dropping wafers in the event of an air pressure loss. Aluminum parts are hard black anodized for corrosion resistance. Wafer contact is minimized to ensure maximum cleanliness for critical diffusion processes, improving yields and productivity.